They have a green bark looking stuff on the stems. 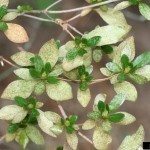 It is killing my plants. 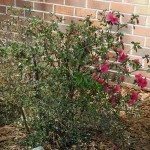 Here are a couple of links that discuss common Azalea problems. It should help you match up the symptoms and treatment solutions. Neem Oil is a good treatment, as it works as an insecticide and fungicide.